Quote from White Spirit: “To understand the Dreamtime, you must understand that we do not own the land. The land is our mother and she owns and nurtures us.” –Old Aboriginal saying. 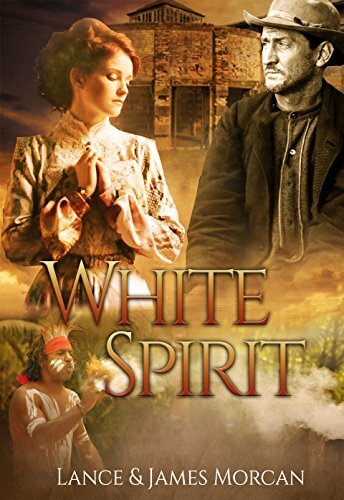 White Spirit (A novel based on a true story). When Irish convict John Graham escaped Australia’s Moreton Bay penal settlement only to be captured by a remote tribe of Aborigines who had never seen a white man before, he couldn’t have known what adventures lay before him. At first, the natives thought Graham a white spirit, one of their own returned from the dead. And he considered them backward, bloodthirsty savages. As the years passed, he became lover to the beguiling Aboriginal woman who ‘identified’ him as her late husband, and he became a father to her two children. He also came to realise the natives who had adopted him were people who harboured the same hopes, dreams and desires as himself. Over this period, John Graham was never forgotten by the beautiful young Englishwoman he’d left behind. He was also tracked relentlessly by a native the British Army called the Tracker.